With his announcement that his Kinima (Movement) party will not contest the forthcoming elections “for financial reasons”, George Papandreou seems to be drawing a close on his family’s almost century-long involvement in Greek politics. 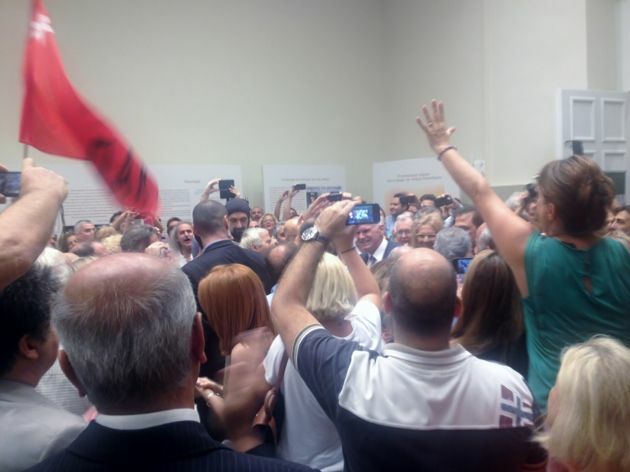 Papandreou’s Kinima managed to garner almost 2.5 percent of the vote in January’s elections, putting it in eight place and top of the list of “also-ran” parties that failed to cross the 3 percent parliamentary threshold. With the former prime minister and PASOK leader now out of the race, this will be the first general election in Greece since November 1920 without a member of the Papandreou dynasty as a candidate. In that year, his grandfather, Georgios Papandreou, unsuccessfully ran as an independent liberal for the Lesvos constituency, where he had been prefect during the First World War. Appointed interior minister in early 1923, his first electoral breakthrough came in the subsequent December 1923 election, when he was returned as a Venizelist (republican) Liberal Party MP. He would be elected at every subsequent election until September 1951, when he lost his seat. Returned to parliament in November 1952, he would have certainly won the May 1967 election had the Colonel’s not seized power a month beforehand. The grandfather Papandreou served as prime minister on three occasions: 1944–45, 1963 and 1964–65. Andreas Papandreou, who was elected for his father’s party in 1964, remained an MP until his death in 1996. He served three terms as prime minister: from 1981 to 1985, 1985 to 1989 and from 1993 to 1996. His son George was MP in 13 successive elections, from 1981 to 2012. He was prime minister from October 2009 to November 2011. The only other dynasty to have produced three generations of prime ministers is, to our knowledge, the Nehru/Gandhi family of India (Jawaharlal Nehru, his daughter Indira Gandhi and her son Rajiv Gandhi).